WaterField Designs in San Francisco makes world class cases for tech and personal gear. Toiletry totes are among their latest releases. I have been using this new product for travel. It is versatile and good value. 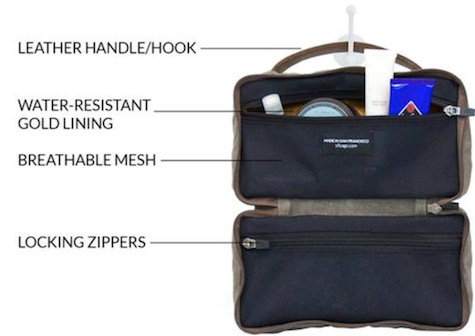 Duo Dopp Kit is a cousin of the Curo Dopp Kit reviewed recently by Curt Blanchard here at MyMac. Duo Dopp zips/unzips two identical interior zippered mesh compartments for toiletries or whatever you want to place inside. 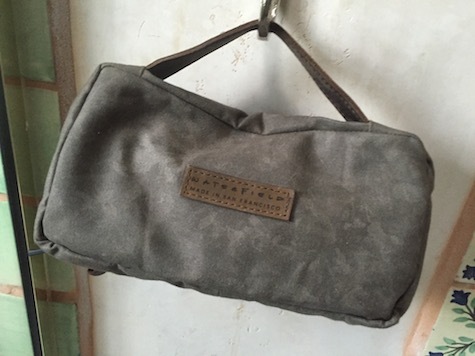 I have used several variations of soft-sided tote for this purpose during my adult travel years, and Duo Dopp is the best. It has one flaw: the outer zipper is single direction, and not two-way. I suggested to WaterField that they make it a two-way zipper. I place my everyday items in one interior compartment and my occasional items in the other one. 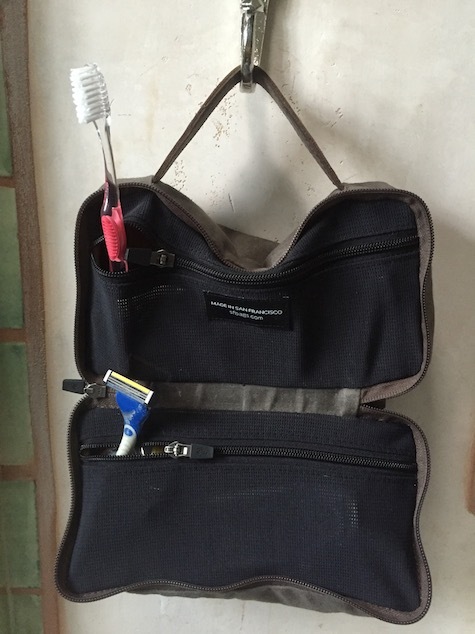 I have completed three trips using Duo Dopp, and I know what’s what and where. Everything I need fits inside, including the handle of my electric toothbrush zipped in between the interior compartments. When closed Duo Dopp looks like a tiny suitcase or oblong purse. I have the waxed canvas version, and it’s holding up nicely trip after trip. It can double as a zippered tech or small accessories tote when you need one. All WaterField products are constructed from the highest quality materials and are built to last longer than the gear they are toting. 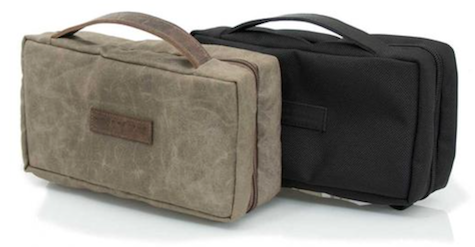 The company’s web site has useful photos, videos, and descriptions to help you decide which colors and materials to choose from the two available for Duo Dopp.